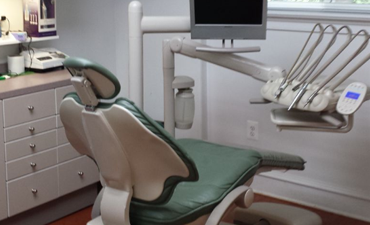 At All Smiles Dental Care, your dentist in Culpeper, we are committed to giving you a beautiful and healthy smile. 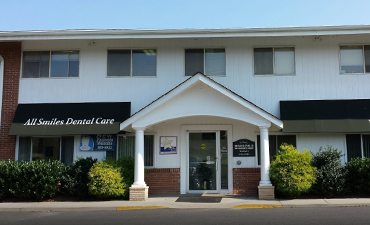 Our expert skills and compassionate care coupled with utilizing the latest advances in dental technology make every visit to our practice a positive, comfortable, and stress-free experience. 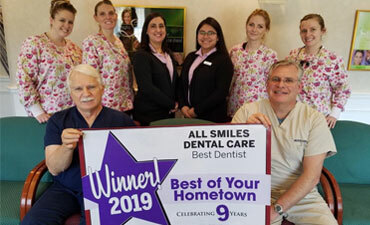 Proudly serving the Culpeper community and the surrounding areas of Orange, Madison, Rappahannock and Fauquier for over 27 years, our office has established a reputation of excellence based on the quality of patient care that we provide and the successful treatment outcomes that we achieve. In our office, every patient is treated with the individualized care and attention that they deserve. As your dentist in Culpeper, we take the time to listen to your smile goals, assess your dental needs, and develop the best treatment plan. Our state-of-the-art office provides a comprehensive range of dental services for every member of your family. Using the most advanced technology and treatment modalities, we offer dental services that can help you to maintain your oral health for a lifetime, as well as provide you with a wide range of solutions to cosmetically transform the appearance of your smile and to restore a smile compromised by dental problems or other factors. Please browse through our website to learn more about our office and the services offered. Feel free to call us for any additional information that you may need, or to schedule an appointment.